Ok, I am on my 5th day of my Clen cycle. Up to 6 tabs a day today. I was in the gym, doing my Bicep workout, and I got pains in my chest. A little bit under my heart, by my ribcage ( the top ). Every breath I took I felt a pain. It was extremely painful. At the point of this happening, I had only taken 4 tabs. I have not taken the remainding 2 yet for today. Now, I have had similar pains before when I breathe and it was always caused by GAS in my body. So it would be a sharp pain, and would usually subside quickly after about 10 minutes of breathing slowly. This time, the pain lasted a lot longer, and still hurts a little now. Been over an hour. Do you think the Clen has anything to do with this? Do you think it was just gas? Is it something to be worried about, or just a freak co-incidence that I got the pains today while working out. Please respond ASAP with all help. Thanks guys. IMO, probably not attributed to clen treatment. What was your heart rate at time of pain? Ability to have normal conversation? shortness of breath? Could the pain sensation be modified through pressure exerted from your hands into the area? Cardio component in your program? How well trained are you? What is your past history with clen treatment. Just thoughts for next time around. Sorry this situation scared you. It would anyone. Take great notice in your heart rate throughout the day. Clen DOES cause shortness of breath. Finish off the pills for the day. The sides should go away within a week. You can continue to workout just take it easy. Don't push it. it's not a heart condition. i know exactly what you're talking about, but i can't remember the term for it. it's not a serious condition though and is not caused by clen . Planet X- Yes, the pain actually does get BETTER when I put pressure on the are with my hands. Exactly what happens. It's just a pain when you breathe in and out, like a quick sharp pain. I took some Gas-X medicine about an hour ago. I can continue with my clen as normal, correct? yeah you can continue. the way i usually solve that problem is to just take one huge deep breath. it hurts like hell and feel like my sternum is gonna bust, but it solves the problem. What would be most important to rule out is any cardiac/anginal pain, but sounds unlikely since cardiac pain is not usually "pleuritic" (pain increasing with deep breathing- related to expanding the pleura encasing the lungs). Also, if you press on the chest wall and it changes the pain (like making it worse) then it is most likely musculo-skeletal. Be cautious though because clen is a sympathetic agonist and does speed up the heart via the sympathetic Beta adrenergic receptors which could cause increased oxygen demand of the heart and result in cardiac chest pains. But this is unusual and less likely unless the clen is mixed with other stimulants which people can use pre-workout. I ran into some similiar syptoms last summer on clen ! I am with Dr. Evil on this one, take one big deep breath, that will hurt like hell, but you should be fine later on. I took my last 2 tabs for today. That is a total of 6 tabs. Today is my first day going up to 6 tabs. I still feel No side effects at all! No Shakes, no nothing. Why is this? If anything, my hands might shake a DROP, NOTHING at all. VERY VERY VERY minimal, if anything. What is going on? Up to 120mcg day, and feeling no sides at all. Looking to cut: By the time I got up to 6 tabs a day, I was used to it by now, and my shakes were minimum. But the first two days, man I couldn't hold a piece of paper. You could have some fake stuff to.. but I doubt it. you should have felt something when you first started taking them, up to the 6th day. By that time tapering off I had minimum sides. Okay to answer the question on this forum, I have never had that happen to me while I was on Clen , and I worked out hard while on Clen. Sorry can't be much more help than that. I never ever shook very bad. My Clen is NOT fake. I picked it up myself in Mexico while I was there. Spiropent 20mcg Tabs from Promeco. 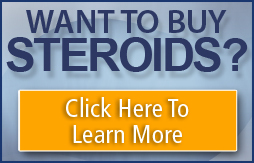 I have pics of the tabs in the Steroid Pictures Forum. Take a look, let me know.